Half term things to do in Hastings! It's that time again when the kids are off school for half term and parents are thinking of ideas to keep them occupied. 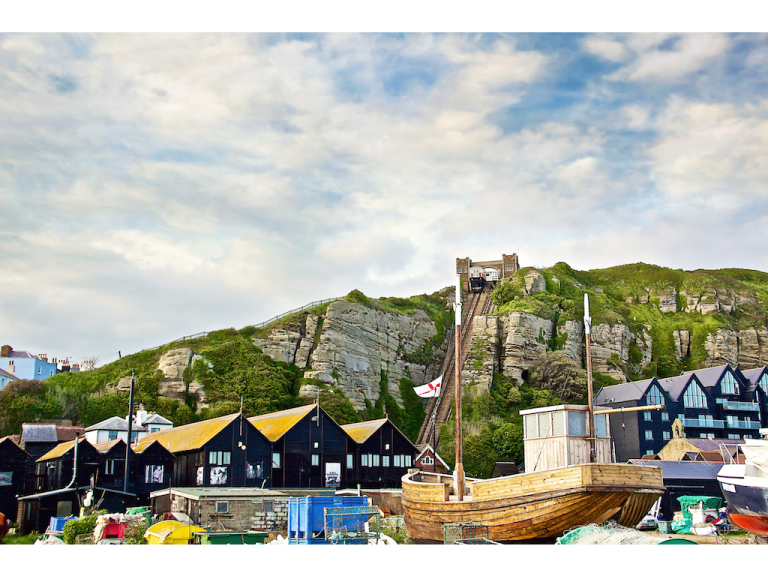 Here is the first of a two part blog about places, where parents can take their children within Hastings in order to keep the kids amused. The Hastings Museum and Art Gallery is an opportunity where kids can learn about well-known personalities such as John Logie Baird and Robert Tressal as well as teaching about how wildlife is different to what it was 150 million years ago. The Museum has an Indian and Colonial Exhibition of 1886 which is held in the Museum's magnificent Durbar Hall. If it's a lovely autumnal day and you fancy taking your kids out for a walk then you could take them to Alexandra Park which is known for its wide range of wildlife especially at 'Old Roar Gill' which is located at the northern end of the park and is now a local nature reserve (it be worth taking a pair of binoculars). Kingfishers and Grey Wagtails can be seen throughout the year not just within the reserve but especially at the Bucks-hole Reservoir and Harmers Pond Areas. For young children full of energy why not take them to Clambers Soft Play Center where they can climb on a climbing frame, zip around on Tarzan ropes play in the ball pit and go down the slide. If the sun is out then the kids can play in the garden where there is a paddling pool (although a bit chilly at this time of year), mega-sized sand pit, play houses, slides, a ginormous climbing frame and more. Hastings Adventure Golf is a place to take the kids who like to play a bit of crazy golf. With three separate 18-hole courses there's plenty of room for families to bring their kids and play miniature tournaments against each other. At Hastings Adventure Golf there is a Florida style course known as the 'flagship'. This course features landscaped gardens, 13 water fountains, seven waterfalls and even a cave to negotiate around. Each course generally can take a family of four an hour to get around (depending how good they are!). Smugglers Adventures can be found deep in the heart of Hastings: West Hill. Join AHairy Jacka as he takes you underground through caverns, passages and tunnels on a voyage back through time to the smuggling era. Within the Smugglers Adventures you will come across 70 life sized characters, interactive display, eerie lighting and sound effects. This is a place where the kids can relive the dangers and excitement that faced the smugglers and Customs officers where 40,000 men were involved in this dangerous trade on the south coast of England. Also the kids can learns the tricks of the trade in an interactive game, come face to face with real artefacts in the smuggling museum and enjoy an illustrated history in the subterranean theatre.